For fans of beach-ready style that is full of carefree, bohemian and creative touches, look no further than Australian label Seafolly. Offering styles to see you sizzle both on and off the beach, Seafolly shorts brim with eclectic prints, vivid colours and practical features. 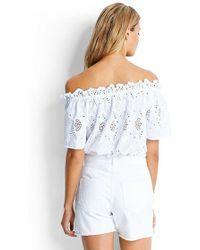 Including loose-fitting outlines, drawstring waists, accessible hem-lengths and lots of trend-aware touches, this free-spirited collection will easily see you through summer months. Match with a pair of flip-flops and sun-kissed bikini, or for city-centric style Seafolly shorts work well with a floaty tank top.